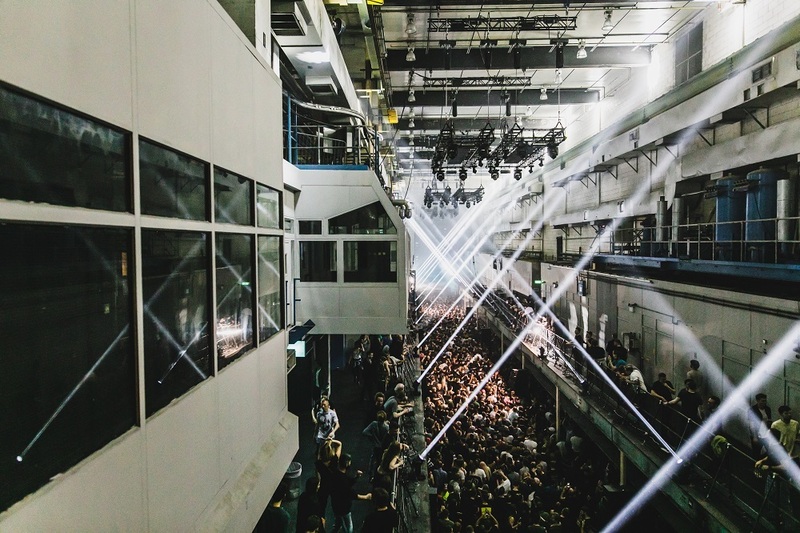 Label Klockworks presented a third Photon at Printworks London on Saturday, March 30th. 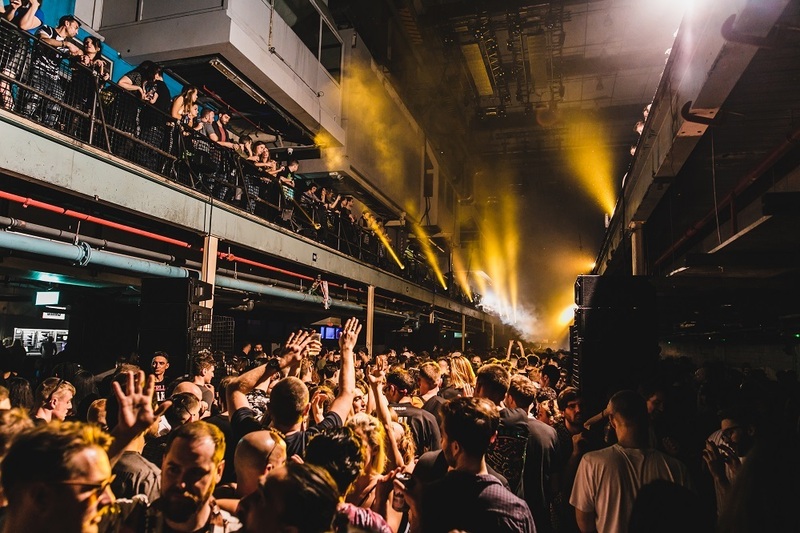 Ben Klock, Rødhåd, Dax J, Newa and Adiel were joined by live acts FJAAK plus KiNK vs kirilik. Mike Barnard and Ann McManus were there. Constantly moved between his various controls, keyboards and screens, KiNK looked up to the crowd with a big smile on his face when about to drop a new hook or bassline. 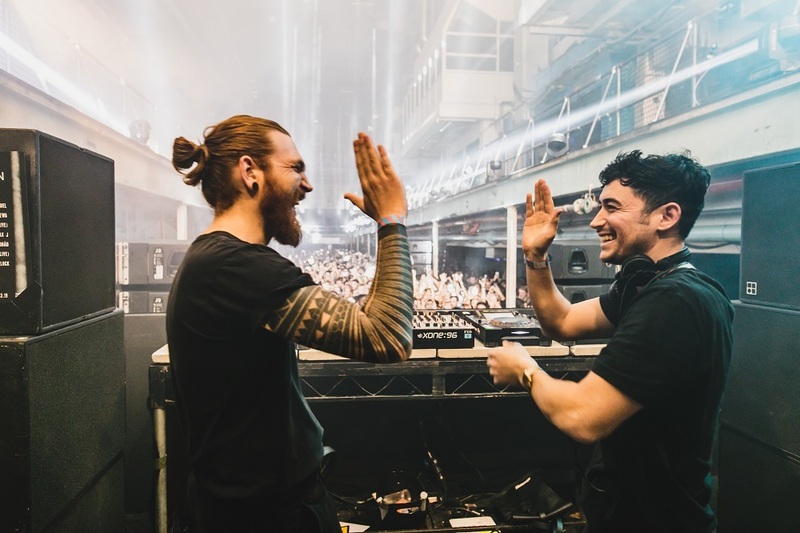 He Said: “The annual Klockworks showcase at Printworks London was hugely popular again this year, with regulars Klock and Rodhad joined by upcoming talent, inventive live acts and a long-overdue debut for Dax J at the Canada Water space. We arrived with Dax J at the controls, his industrial, heavy-hitting techno proving a hit in the mid-afternoon as the Press Halls heaved with appreciative music fans.London born but Berlin based, Dax J had more of his home-city in his tune selection by opting for big impact beats, though he did delve into darker, moodier vibes of his adopted city to add texture to his set. As Rødhåd took to the decks, he was quick to first lock hands with Dax J in appreciation of what would be a tone-setting 90 minutes. 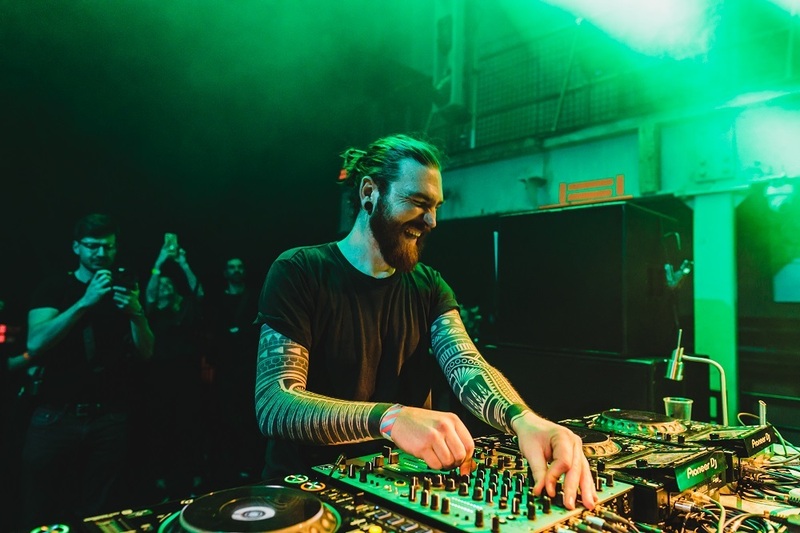 “Rødhåd himself seemed to have a blast behind the decks, his third appearance at Printworks London, and looking very comfortable showcasing his brooding style to the venue. By now the stripped-back lighting design dictated by the Photon concept was serving the music well with carefully-aimed beams of light penetrating the long dancefloor in emphatic fashion. Some might be disappointed the constantly-moving Printwork lights with all their LEDs ablaze with colour aren’t utilised to their fullest for Photon nights, but when you see how closely tied the music and visual production are to the show, it’s easy to get just as lost in the sights the same as any other Press Halls experience. “KiNK’s live set was unique as he produced 90 minutes of energetic basslines and improvised synths, infused with his kirilik alias for added techno bite. 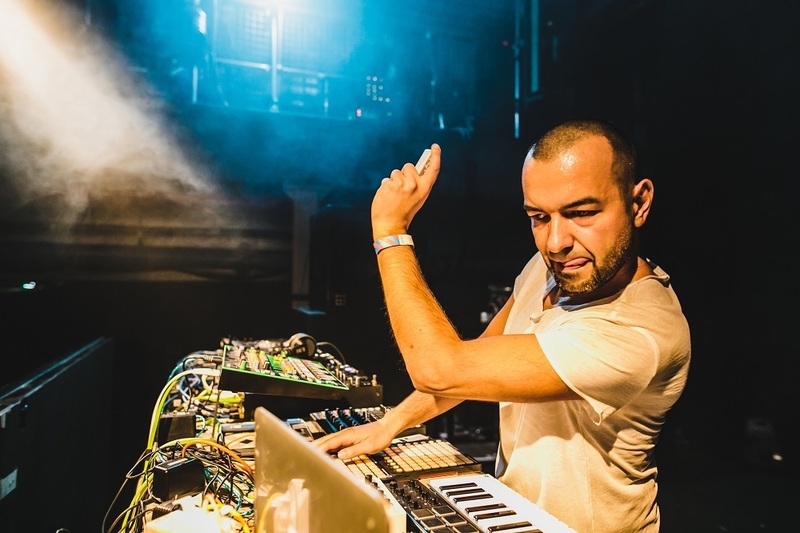 Surrounded by equipment as ever, KiNK constantly moved between the various controls, keyboards and screens, often looking up to the crowd with a big smile on his face when about to drop a new hook or bassline. Though his set was less enticing than the match-up of his two aliases was hyped to be, he got the crowd all set for Ben Klock’s finale. Rødhåd played an industrial set that saw a furious storm of strobe lights blast across the expanse of the former printing hall, illuminating the animated crowd in hulk green. She Said: “After a personal clubbing hiatus and time in the hip hop fueled United States, Photon presented the optimal opportunity to get back into the scene. Ben Klock generally overawes me in both performance and presence and pre-rave researching Dax J’s mixes added to the trepidation. We arrived to catch Dax J bringing the last half hour of his set home with a racy selection of punctuated tracks that veered to an almost garage-fused techno sound. Rødhåd followed with an audibly more industrial set that saw a furious storm of strobe lights blast across the expanse of the former printing hall, illuminating the animated crowd in hulk green. 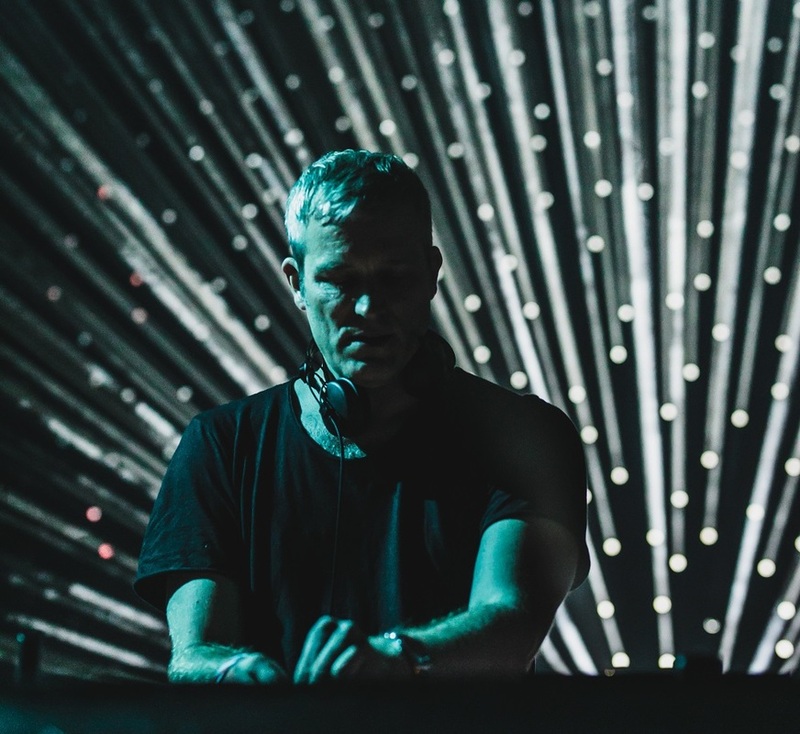 His set provided the perfect explanation for why the Berlin based DJ and producer earned recognition for loop-techno as the sound spun loophole after loophole with tracks like Temudo’s ‘Kurla’ drawn out and then collided into the next selection. SRVD’s ‘The Yard Man’ acted as an especially-effective final energy shot for the crowd before handing the decks over. “Next up was KiNK playing against his ‘techno alias’ kirilik, under which the Bulgarian has been experimenting with a creative style of DJing that sees him support his DJ set with a drum machine in a style he attributes to a way of DJing that was big in the US in the 80s and early 90s. He started with a warm, bouncier sound with O/V/R’s ‘Reversing into Tomorrow’ acting as an inviting introduction to the set before he moved into a more industrial mood concluding with Repeater – ‘Repetition 3’. “The sound had audibly transitioned across the series of the performance, as though with every set another layer of musical effect was peeled back to leave nothing but stripped-back, raw techno. 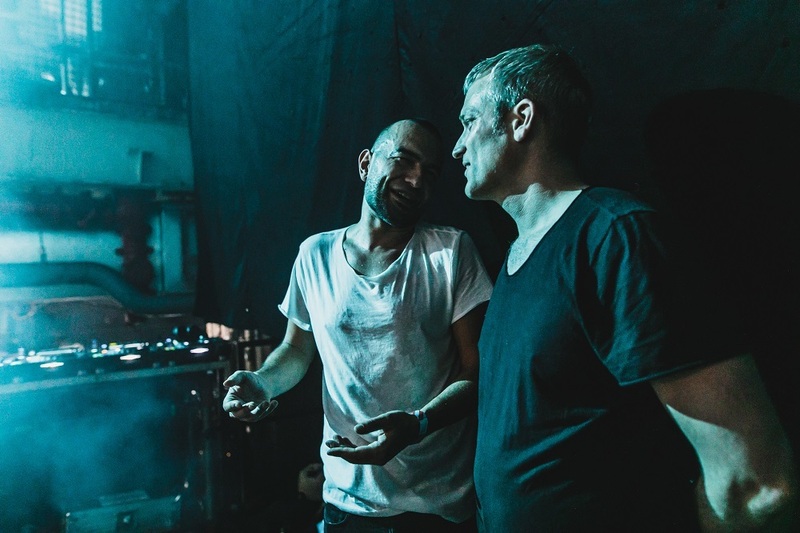 To enunciate Ben Klock, the day’s piece de resistance, Blank & Jones’ ‘Le Grand Bleu’ provided a cute, sparkly magical interlude before the crescendo of raw, uncompromising techno was unleashed by Berghain’s best-known resident. I felt this set lacked notable transition, in stark contrast to Klock’s 2018 set which I had felt moved too quickly from track-to-track. The most fitting analogy I heard used to summarise the set was a comparison to an operating shipyard. Images by Jake Davis (@HungryVisuals).